To place an order for a Sweet 16, call 615-941-1247 or click here to supply your information. 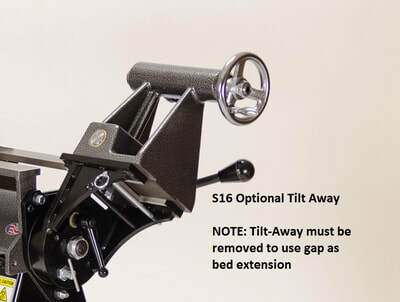 The main feature of the S16 is its removable bed section. 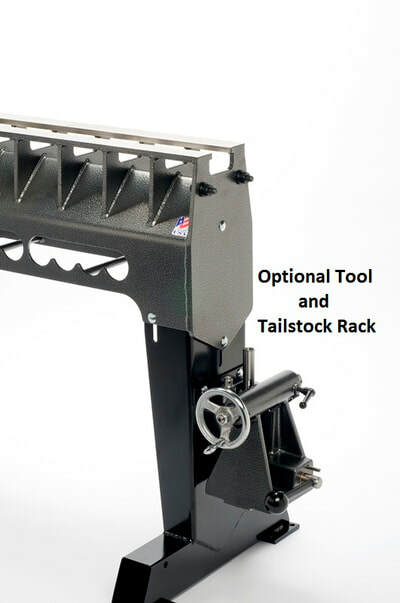 Removing the section creates a gap to let you turn a bowl or platter up to 32". Moving the section to the end of the lathe increases spindle turning capacity by 14". The animation in the slide show on this page demonstrates how the moving the bed section reconfigures a Sweet 16 lathe to turn larger diameters and longer spindles. The S16 is available with a Short, Standard or Long bed. 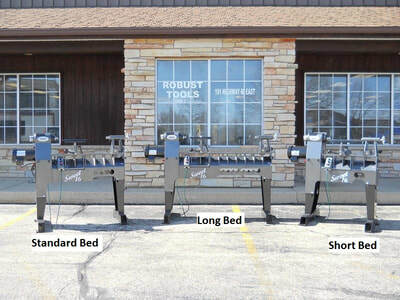 Like our other lathes, it adjusts to your height. 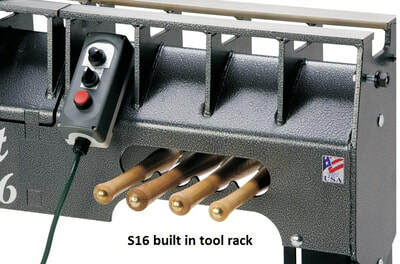 The motor drive (aka: "VFD" or "Inverter") lives behind the black panel that doubles as a tool rack. Another tool rack is built into the top of the headstock. 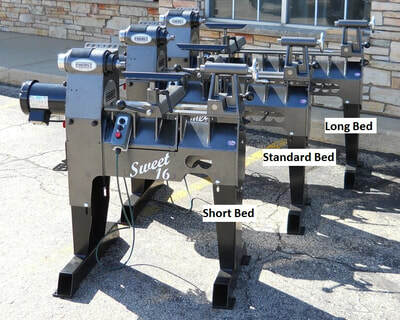 The Sweet 16 is available with a 1-1/2 HP motor in either 110 or 220 volt. 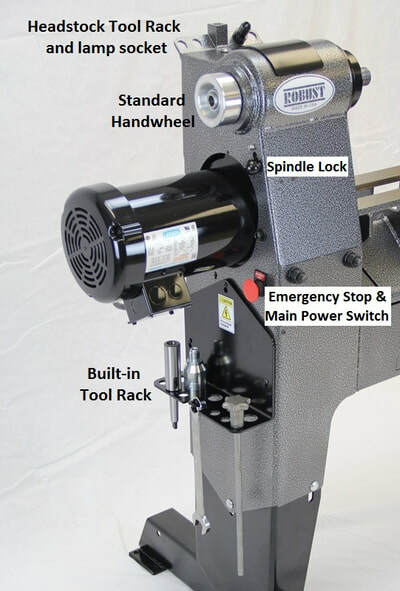 A 2HP motor is also available in 220 volt only. Locking the spindle disconnects the controls, so no more burnt belts if you try to start the lathe with the spindle lock engaged. 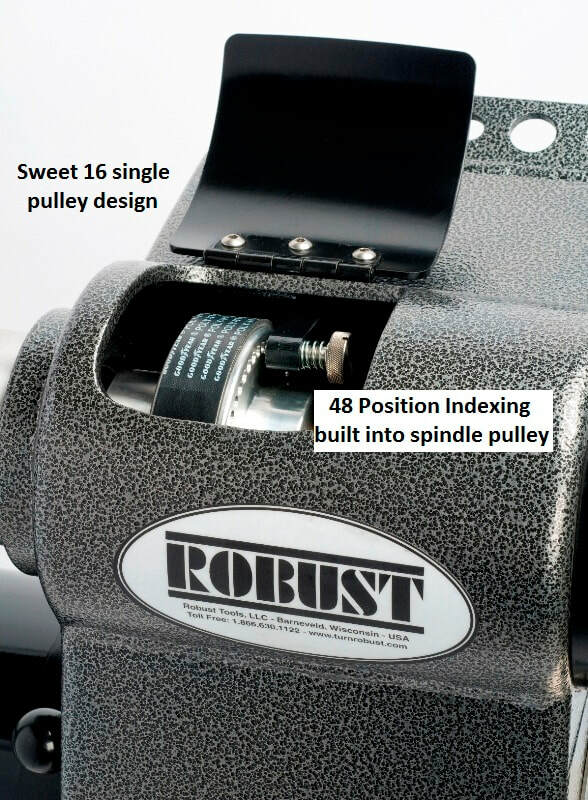 There is no belt changing with the variable speed Sweet 16. Low end torque is ensured the use of a vector style motor drive and further augmented by using a smaller pulley on the motor than on the spindle. High end speed (2900 RPM) is derived electronically. 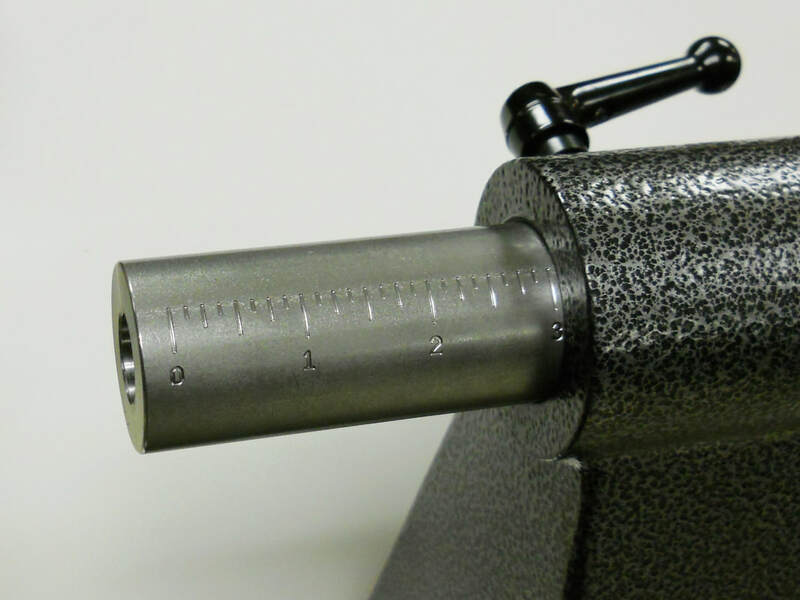 48 position indexing is standard and accessed from inside the headstock as shown in the picture. 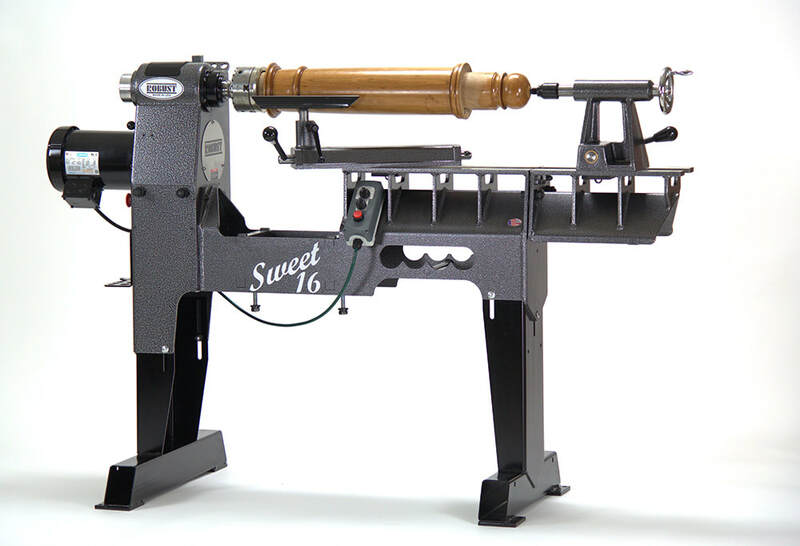 We use the same spindle on the Sweet 16 that is used on the larger American Beauty. 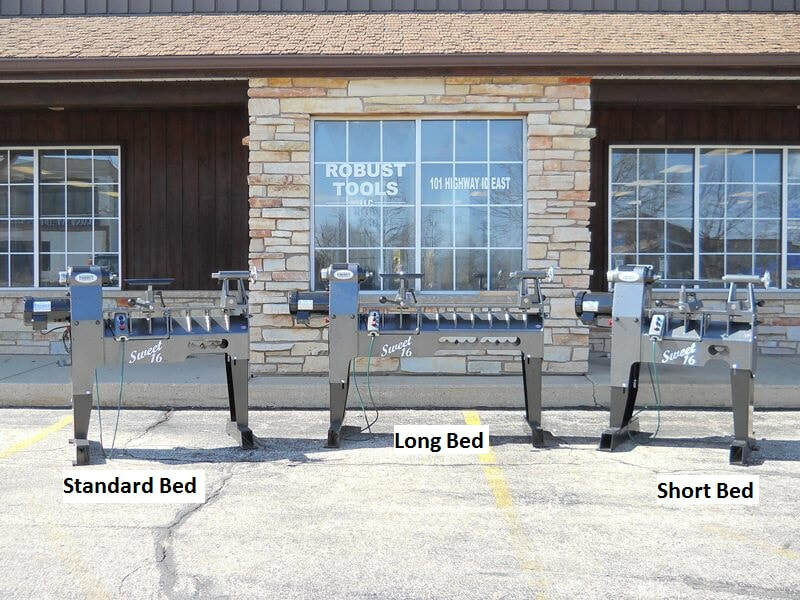 View the spec sheet to learn how to move the gap to the side and turn a 32" bowl or platter in one step. You can also move the gap to the end for long spindles.